One of my favorite “colognes” and fragrances for summer is Mugler Cologne. It’s like a traditional eau de cologne, but a little weird (OK, maybe a lot of weird since the “S note” is rumored to be sperm…or steam…or steamy sperm…idk). I love it because it’s light, fresh and believable mix of synth/natural. When I came across Les Exceptions Hot Cologne, I figured it would be Mugler Cologne with a more expensive price tag since Mugler Cologne, a perfume launched in 2001, still smells niche and modern. I was wrong. 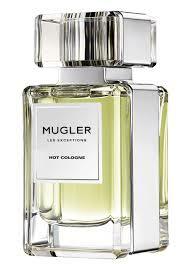 Hot Cologne is another take on this classic genre by the folks at Mugler. And in true Mugler fashion, they gave us a cologne with a twist. The opening of Hot Cologne is basically everything I want from a cologne’s opening. It’s lime zest, a bitter neroli and something that comes across like black licorice (or is that basil?!). As it wears, it’s like a mojito on ice. It’s cool with mint and limes. The heart is a melange of citrus of zest mingling with a fresh, bright orange blossom. This all sounds pleasant but rather predictable, right? Well, let’s get to the rest of Hot Cologne. Hot Cologne has an incredibly realistic green coffee accord. It smells just like unroasted coffee beans and oddly enough like genmaicha (a green tea with puffed rice). In addition, there are both hot and cold spices. It’s like green cardamom and dried ginger. As I wear Hot Cologne, it’s like carrying around an iced chai or iced genmaicha on a really warm summer day. It’s like a mix of spice and coolness with an unusual nuttiness. Eventually this perfume dries down to a faint ground coffee that smells like cold brew. Hot Cologne easily fits within the genre of “eau de cologne” but it isn’t the typical citrus and some herbs. The addition of coffee adds interest, but don’t worry, this isn’t the aggressive coffee note found in the brand’s A*Men. Like the rest of the Les Exceptions line, this is Mugler practicing restraint. The final product is something refined, but still more interesting than the usual designer offerings (even the “luxe” ones). Notes listed include orange blossom, petitgrain, bergamot, lemon, mandarin orange and coffee. Launched in 2017. Give Hot Cologne a try if you like “eau de colognes” Or fragrances like Mugler Mugler Cologne, Tom Ford Neroli Portofino, The Different Company Tokyo Bloom, Guerlain Aqua Allegoria Limon Verde and/or Malle Cologne Indélébile. I thought that Mugler Cologne would be a good “dupe” for this, and I guess it could be in a pinch (it is much cheaper). However, they’re different. I do think for a cologne in this price range that Hot Cologne sure beats out stuff like TF Neroli Portofino (and the rest in that Neroli line). For something so heavy on citrus and inspired by colognes, longevity and projection are above average. But, as an EDP, it’s average. The 2.7 oz retails for $225 at Nordstrom. Victoria’s Final EauPINION – An “eau de cologne” with iced genmaicha. I love a twist on a classic and Hot Cologne is a twist on a classic. ¹Why have I never reviewed Mugler Cologne on this blog?! *Sample obtained by me. Product pic from the brand. 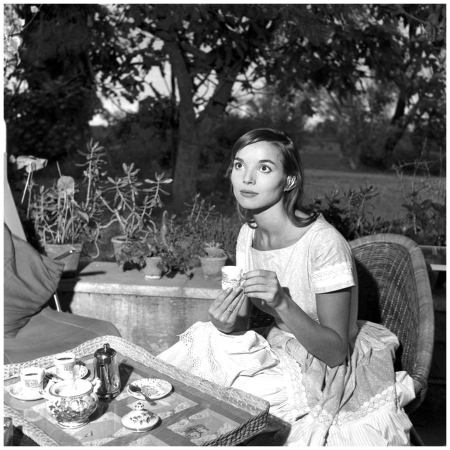 Elsa Martinelli circa 1957 from pleasurephotoroom.wordpress.com. Post contains an affiliate link. Thanks!